A Canadian former professional ice hockey player and former head coach, Wayne Gretzky is presently the vice-chairman, partner in the Oilers Entertainment Group and part of 2018 ALL STAR CLASSIC. In his 20 season career in NHL, he played for Edmonton Oilers, Los Angeles Kings, St. Louis Blues, and New York Rangers. Besides, he also played for Indianapolis Racers and Edmonton Oilers in WHA. In 16 professional seasons, he scored 100 points. He is the leading scorer in NHL history and is often called the greatest hockey player ever by some sportswriter and player. Wayne Gretzky was born on 26th January 1961, in Brantford, Ontario to Phyllis Leone and Walter Gretzky. His father used to work for Bell Telephone Canada. His grandparents owned a farm where his family would regularly visit and watch Hockey Night in Canada. Since his childhood, he used to skate on ice and tried to score goals in hockey against his grandmother, Mary using a memorial stick. He started his hockey career playing Junior B hockey in Toronto and earned Rookie of the year honor in the League. He had 72 points in 32 games with the team by the age of 15. According to his coach Muzz MacPherson, he settled on 99 points playing in a season in the Ontario Hockey League at the age 16. He scored 378 goals in a single season with the Brantford Nadrofsky Steelers at the age 10. His amazing play took the media attention, other's player negative attention and became the talk of the town. In 1985, Wayne Gretzky bought the Hull Olympiques of the Quebec Major Junior Hockey League for $175,000. Later, in 1992, he sold the team for $500,000 and in the same date he and McNall partnered in an investment to buy a Honus WagnerT206 cigarette card for $451,000 and they sold it for $2.8 million. It is estimated that he made $93.8 million from 1990 to 1998. His total career earnings from salary is expected to be about $42.6 million with an average of about $1.4 million in a year. Additionally, he received $8 million from the NHL for a settlement for the deferred compensation he was owed from his time with the Phoenix Coyotes. In 2001, he, Moyes and Ellman partnership together and bought Phoenix Coyotes club for $125 million. He also has a restaurant in Toronto. Wayne Gretzky clothing line at Hudson's Bay Co.
His brand endorsements deals have also made him successful and famous. He is one of the well-known athletes/celebrities in the world. He has many foundations such as Wayne Gretzky and Friends Charity, Ronald McDonald Children's Charities, Desmond Tutu Peace Centre, Olympic Aid and many more. 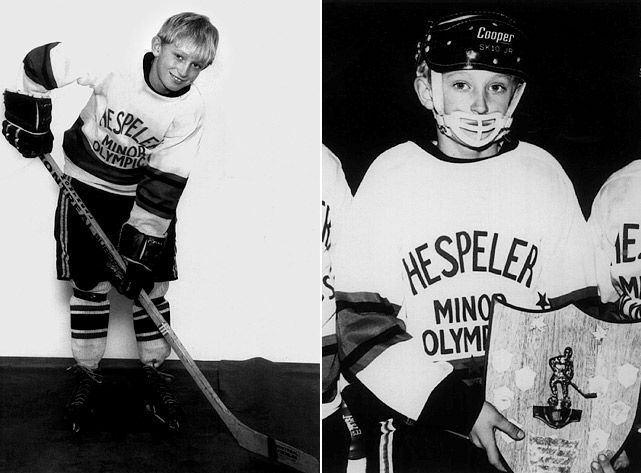 Wayne Gretzky started playing hockey at the age of 2 and he was focused on it at the age of 6. In 1979 he was picked to play in NHL and played his first NHL season for the Edmonton Oilers until 1980. He is one of the top NHL players and his lifetime record is 2,857 points in NHL season among all NHL players. He played up to 40 regular seasons and set six All-star records. He has scored 894 career goals and has managed 1,963 assists, and 2,857 points with 50 hat tricks. He was the team captain of his team Oilers that took the led to four Stanley Cup victories from 1983 to 1988. Later, he was shifted to Los Angeles Kings Club. Talking about Gretzky's relationship status, on 29th January 1981, he and his ex-girlfriend, singer Vicky Moss. They were seen in the Tommy Banks Live show where they were discussing their relationship. The relation lasted only for a couple of years. 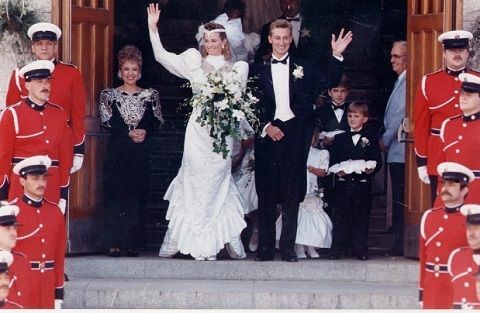 Later, on July 16, 1988, he got married to Janet Jones and they had five children: Paulina, an American model and pop singer, Emma, Tristan, an American actor, Trevor and Ty Gretzky. His has four siblings: Brent, Keith, Glen and Kim Gretzky. He wasn't the successful owner and coach of the Coyotes and he also gained his popularity because of his family life. In the starting 2016, His wife got involved in an illegal operation like she had a bet of $100.000 in various events because of her assistant Rick Tocchet arrestment. His daughter, Paulina Gretzky became the online sensation because of her photos in different sites but her account was used by other users seen in certain places but later she refused the news and started posting photos by herself. His legacy is facing problems due to his wife's and daughter's un-necessary activities. Gretzky is also regarded as one of the best ice hockey players in the history along with two other players that include Mario Lemieux, and Bobby Orr. He admires Sidney Crosby as the current best ice hockey player. On 30th March 1993, it was said that Gary Bettman would be the Hall Of Fame but not Wayne Gretzky. Later police investigated and the fact was he engineered and manipulated his election to him as the Hall Of Fame so, he was brought in the court and had to hire his lawyers: Arnold Burns and Yves Fortier for his case. They created false statement and took the blame to Gil Stein, former president of the National Hockey League. Lastly, Gretzky was elected to the Hall Of Fame.